Recordings are available for immediate download! Equinoxes are always a sacred time of honouring, an opportunity to restore balance as we stand poised on the bridge between seasons. Spring equinox opens up a sacred doorway that shows us opportunities for personal and planetary growth and urges us forward out of the darkness of winter into the new light and freshness of spring. "We are standing in the vibration of a sacred prophecy. 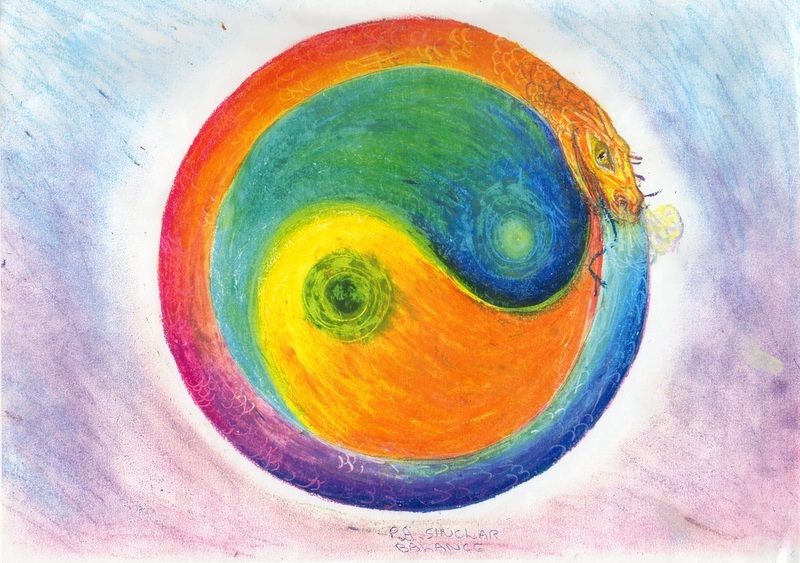 The prophecy tells us that consciousness is preparing the spirit of the feminine, the spirit of the grandmothers..."
It is the spirit of the Divine Mother represented by the Ouroburous that holds the living masculine and feminine energy streams, our yin and yang in ultimate balance. It is the power that encompasses both and also transcends these polarities that we find in the quintessence and wisdom of the 'grandmothers', in the flow of the universal 'waters of life'. Our Diamond Equinox journey on 20 March aligned with this initiative in Arizona by also focussing our energies on the healing of the spirit of the Universal Mother. We also included a sacred water blessing, so you are asked to have a glass or a bowl of water close to you for the recording. Through our collective diamonds we seed and amplify our intentions for personal and planetary healing as we assist in Awakening the Mother Mind in those who are ready to awaken. £15 (approx. $24) or make a gift donation of whatever you can afford. ﻿"Hi Julie - just worked with the equinox meditation woa AMAZING. My whole being resonated and vibrated with the process. So profound. Keep up the good work"